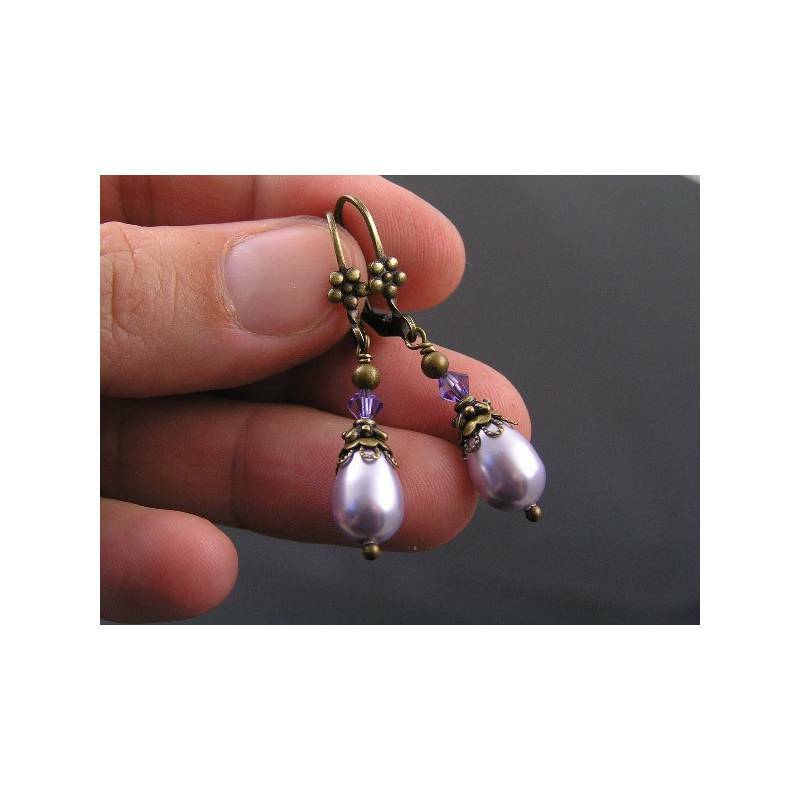 I love the quality of these Swarovski Pearls. 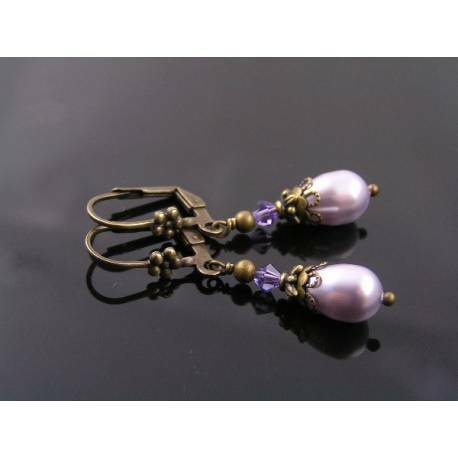 The colour is very subtle and the shimmer is just so elegant. 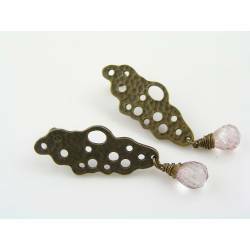 I have threaded them onto oxidised brass ball pins and topped them with a variety of brass bead caps. 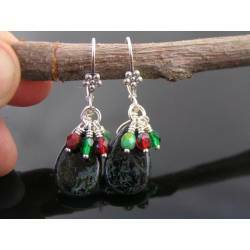 For additional sparkle and just a touch more colour, I chose Swarovski crystals in a matching shade. 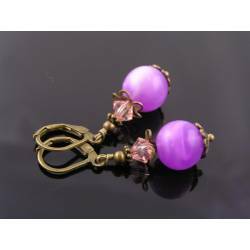 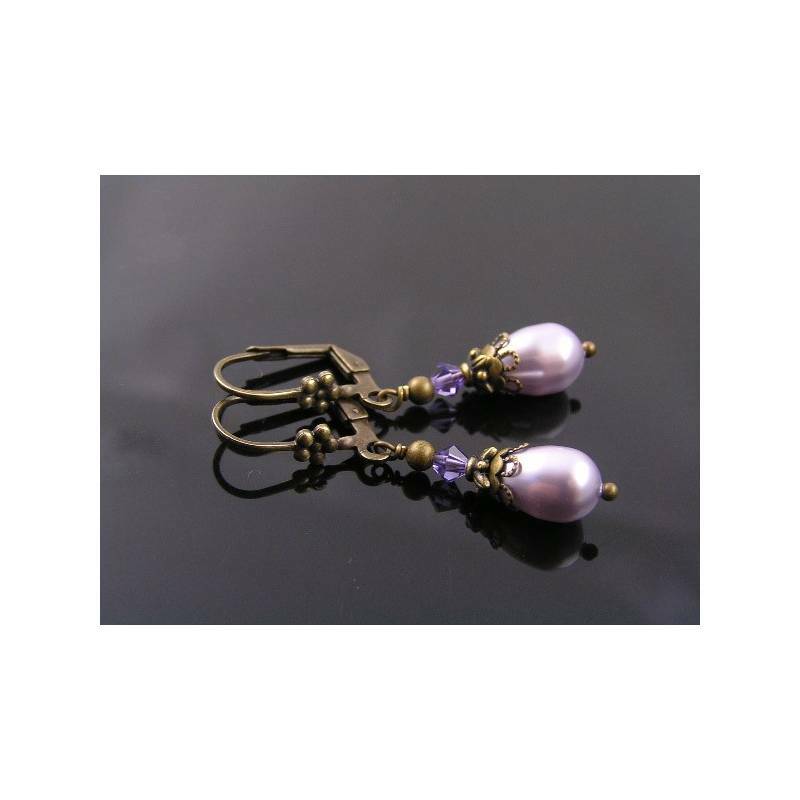 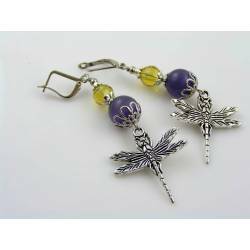 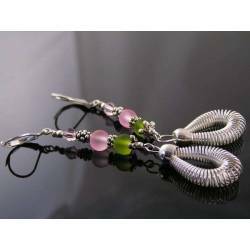 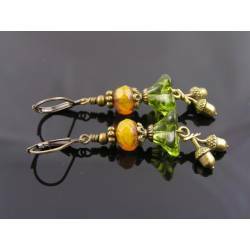 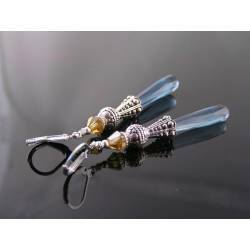 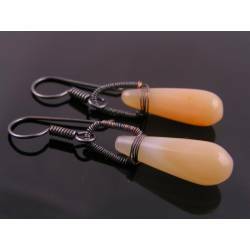 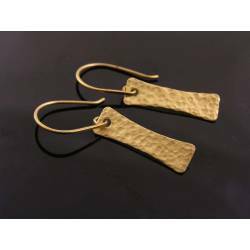 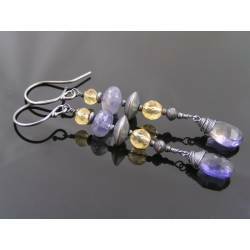 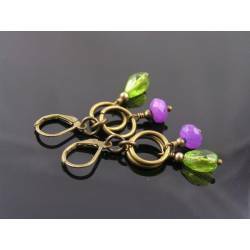 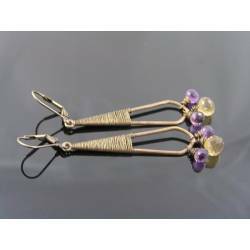 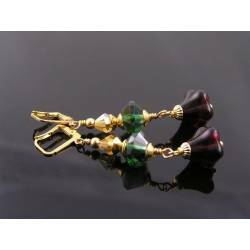 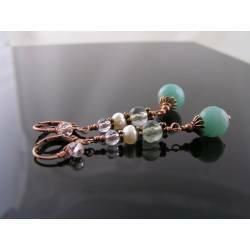 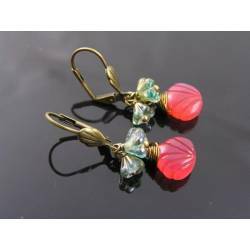 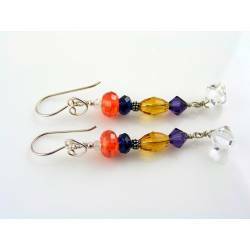 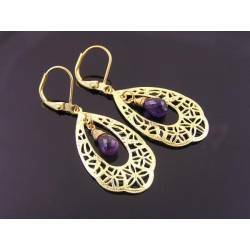 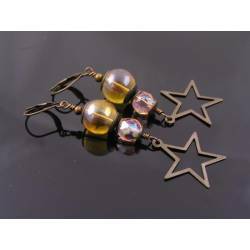 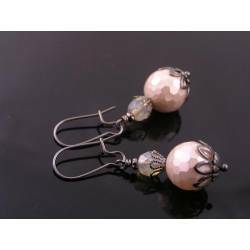 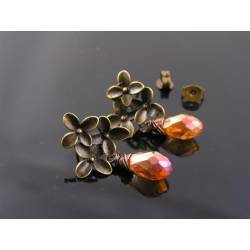 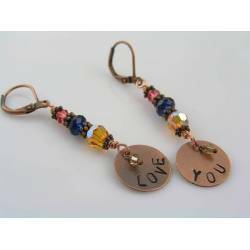 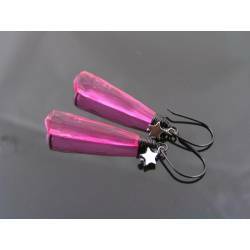 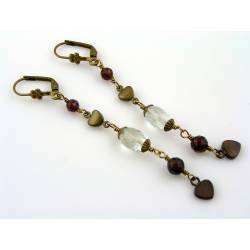 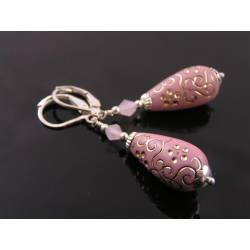 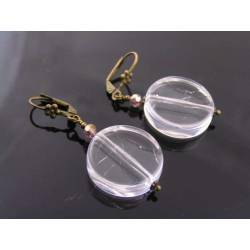 The earrings are attached to secure lever back ear wires which are embellished with a little flower in the front. 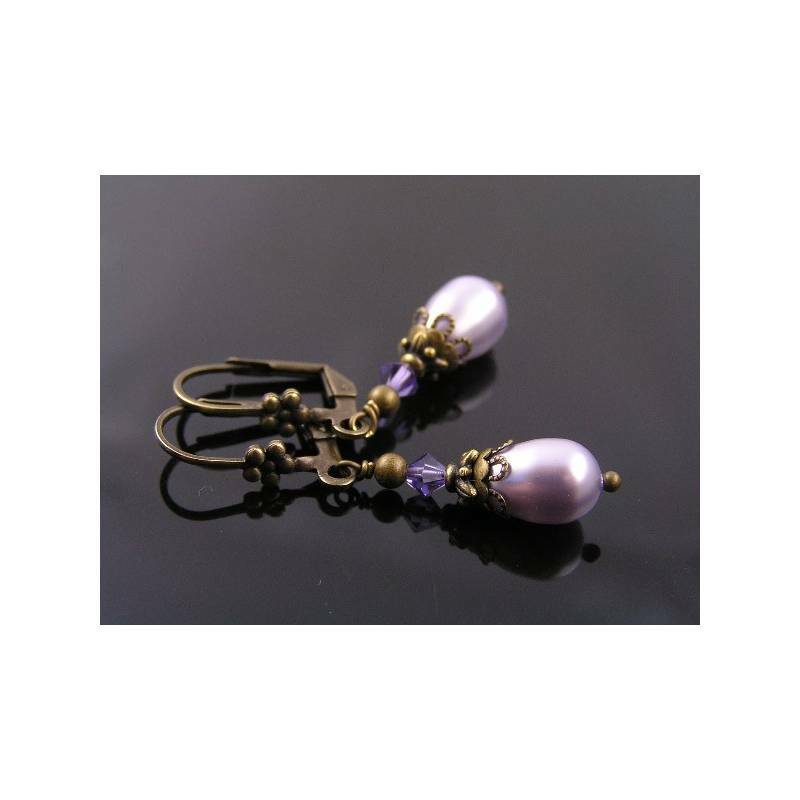 Total length of the earrings is 4cm. 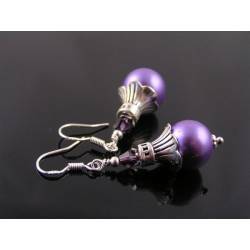 For other colour and metal options please contact me.